Fifteen people working for the İzmir Metropolitan Municipality were detained after police raided their homes on Monday morning on the grounds that they use a smart phone application known as ByLock. 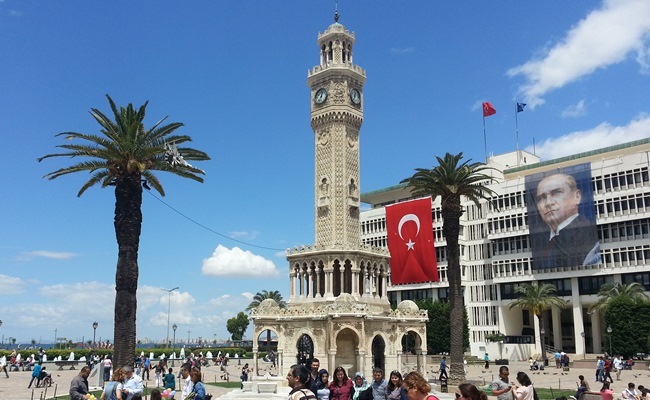 The municipal employees were detained as part of an investigation, overseen by the İzmir Chief Public Prosecutor’s Office, into the faith-based Gülen movement, which is accused by the government of masterminding a failed coup attempt on July 15. The detainees are accused of using the smart phone application ByLock, which according to prosecutors is the top communication tool among members of the Gülen movement, accused by the government of masterminding a coup attempt on July 15. Critics, however, have blasted the government for detaining thousands simply for using a mobile application. This article originally appeared in Turkish Minute on Nov. 7.